Guilherme, from Brazil, joined SPICED in 2016. Here he tells us about his journey from civil engineer to software engineer! I’m from Brazil. In 2015, I had just finished my 5-year Bachelor Degree in Civil Engineering and I was struggling with my career. I was interning at a structural engineer projects office, and that year a big economic crisis hit my country. Many companies were firing old employees, there was no space for the new comers, and the predictions for the next year were not friendly. The fired experienced engineers would have been the first to be hired in case of economic stability, so I felt the need to take a new step in my career. My friends always knew I’m really good with computers. Since the age of 10 when I got my first PC, I was curious about PC components, how it all works, and troubleshooting by myself to fix minor problems on broken machines. One web developer friends that lives and works in Dublin suggested, “Why don’t you became a developer? There’s a ton of opportunities abroad.” After more research about the profession, about the opportunities, I decided to take the shot. Having Italian citizenship made everything easier. I could choose any country in Europe to live in. Living abroad was always my dream, never accomplished. All these factors came together and on June 2016 I applied to the bootcamp in Berlin. In one word why I decided to learn to code? Opportunity! After I finished the bootcamp, I started to look for a job. I decided to settle in Europe with my wife. 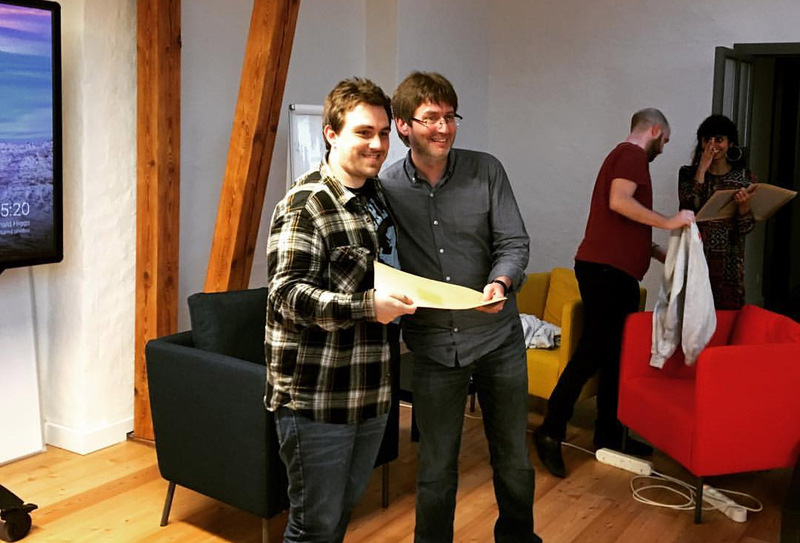 Just one month after I started to look, I was hired from Dots Software in Berlin as a Software Developer. I’m a really fast learner, so I didn’t haven’t any major problems during the SPICED bootcamp. I think the big issue that I had was transitioning from the Frontend to the Backend. At the beginning I didn’t understand quite how the backend server works. But after a few talks with the tutors and sharing my difficulties with my classmates everything became clear. This is great advice about learning to code. Talk with other people, one different point of view can make things clear. Before starting a bootcamp, know yourself. Like to spend hours in front of a computer? Like to be challenged? Are you a person that looks for answers by yourself or waits for teachers? Are you excited to discover things on your own? Besides a strong coding program, you need to find your own path, you need to keep yourself motivated. If you answer no to most of the previous questions, don’t waste your money and time! If yes, you have a good chance to succeed in a bootcamp and as a developer! Interested in in becoming a Full Stack Web Developer like Guilherme? Check out our 12 week Coding Bootcamp!